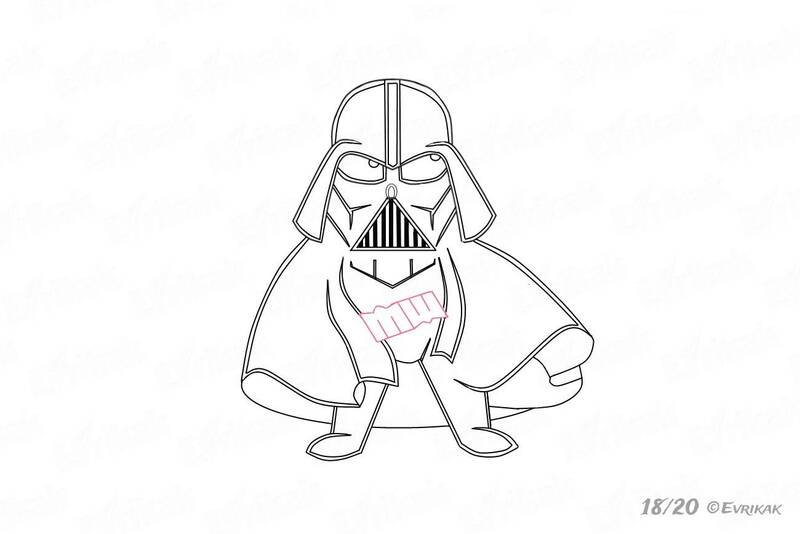 How to draw Darth Vader from the movie " Star wars"
Darth Vader is one of the most famous characters from the movie “Star wars”. And although this character is not positive, many people buy his statuettes, look for information about him. Darth Vader helmet is especially popular. If your child hasn’t watched the film yet, we will tell you about this character. 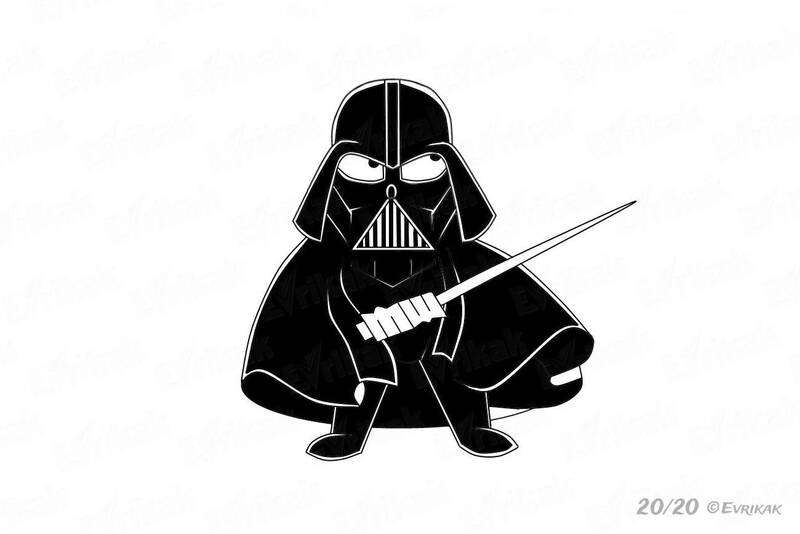 Darth Vader was a guy named Anakin in the first parts of “Star wars”. He had a great power and he began to study the Jedi – the people with the abilities who defended the universe from the Sith – supporters of the dark side of the force. 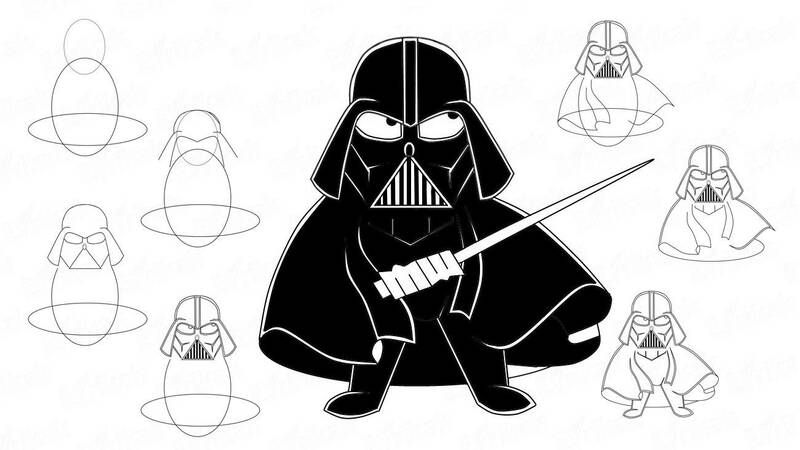 But in the third part Anakin has taken the dark side himself, becoming Darth Vader. But in the last part he’s helped his son Luke to win. 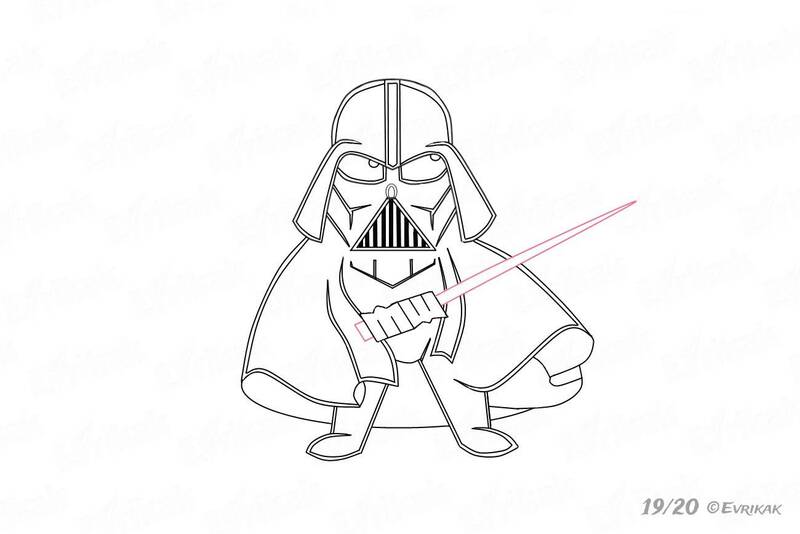 Perhaps the audience remembered Darth Vader because of this noble act of . 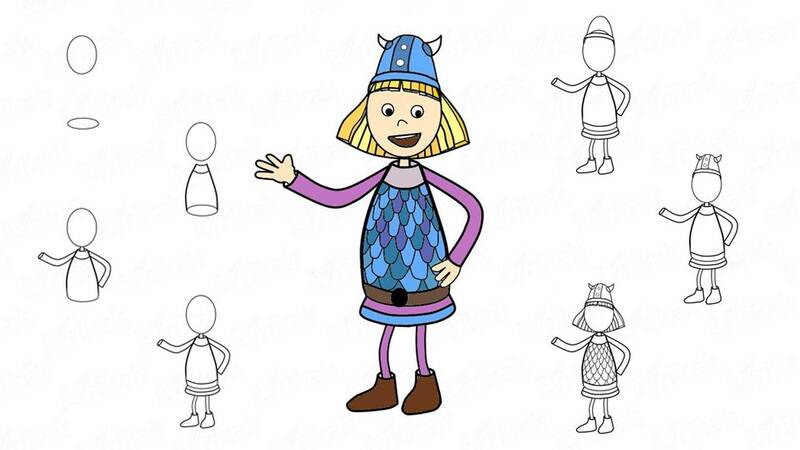 We offer you to draw this character. 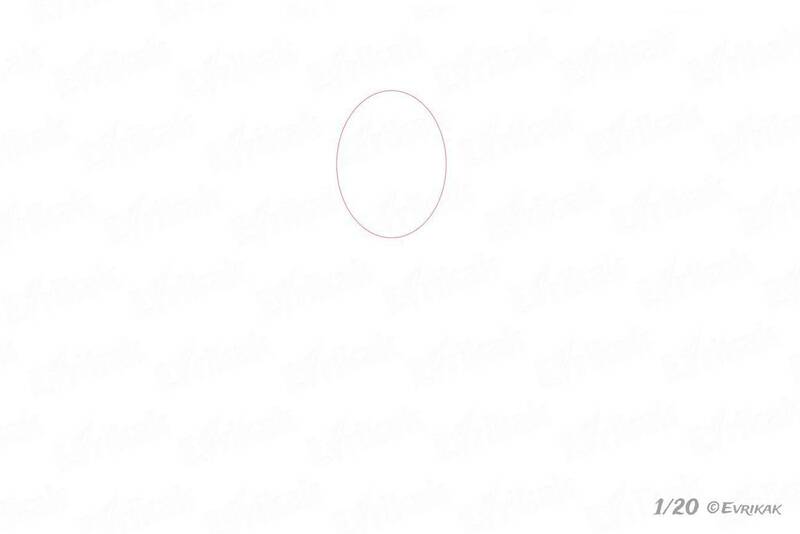 On a sheet of paper, draw a small oval, elongated vertically – it’s the head. 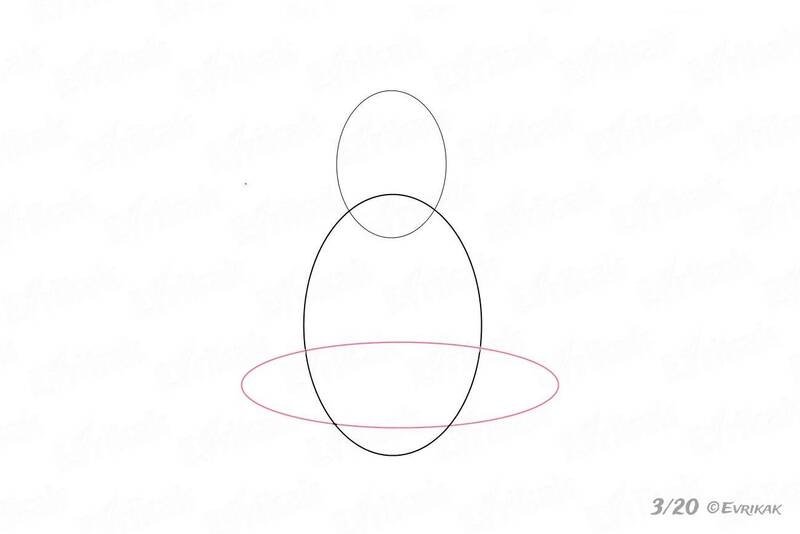 Draw the oval which denote the body, but this figure should be much bigger than the previous one. 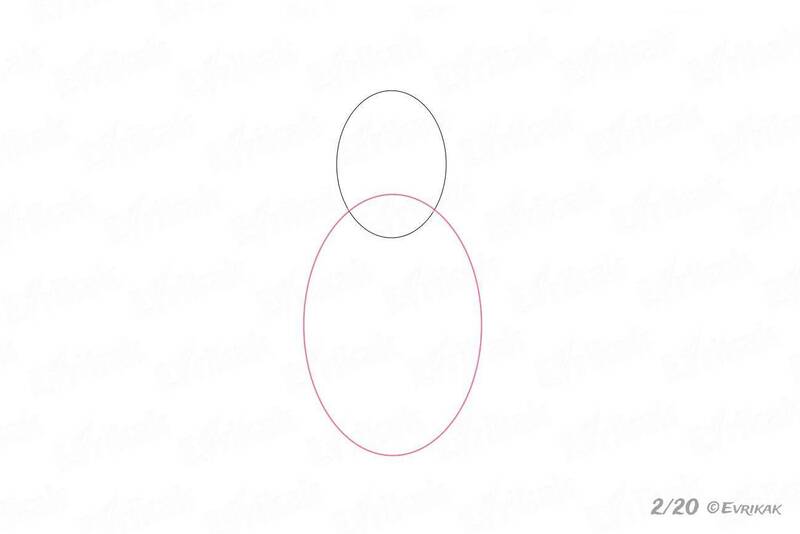 The ovals are intersected with each other. The outlines must resemble a snowman. Darth Vader has a long coat. And it flutters from below. So draw a third oval at the bottom of the bod’ outline. It’s elongated horizontally. 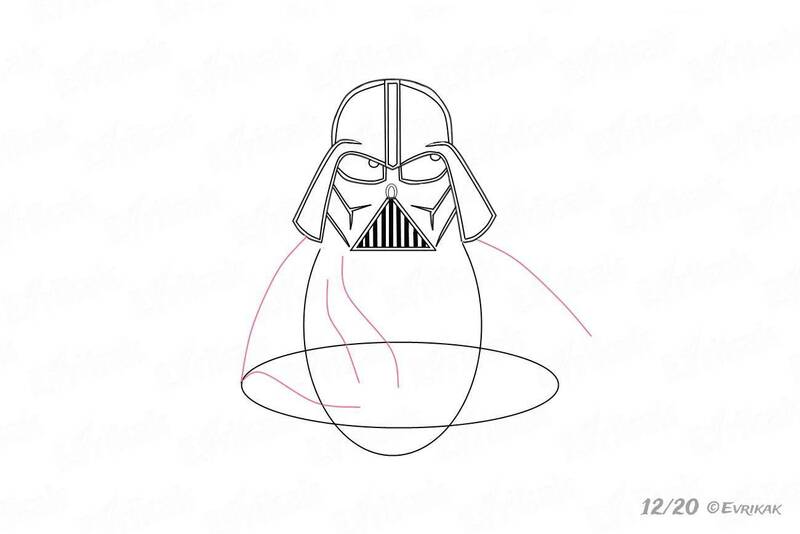 Draw the legendary helmet to the Sith. 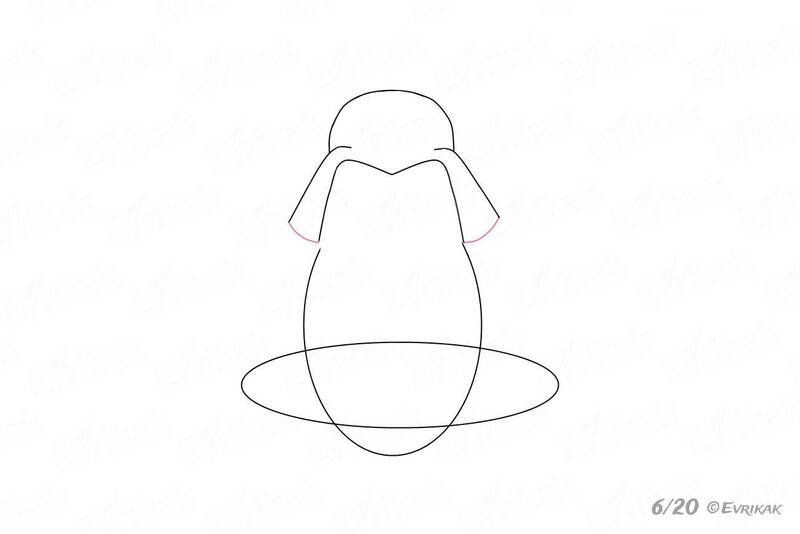 On top of the oval draw a semicircle, draw it up to a third of the oval and then finish the lines on the left and on the right. On the inner side, draw the outline of the helmet. Inside the helmet there left a part of the oval and unnecessary lines. Erase them and connect the edges of the helmet. In the third part of the film Anakin was wounded, and he can not breathe without a special mask now. Begin to draw a mask from the bottom of the helmet. Draw the short diagonal lines on the left and on the right . Draw a triangle between the lines. The top facet must be on one level with the center of the helmet. 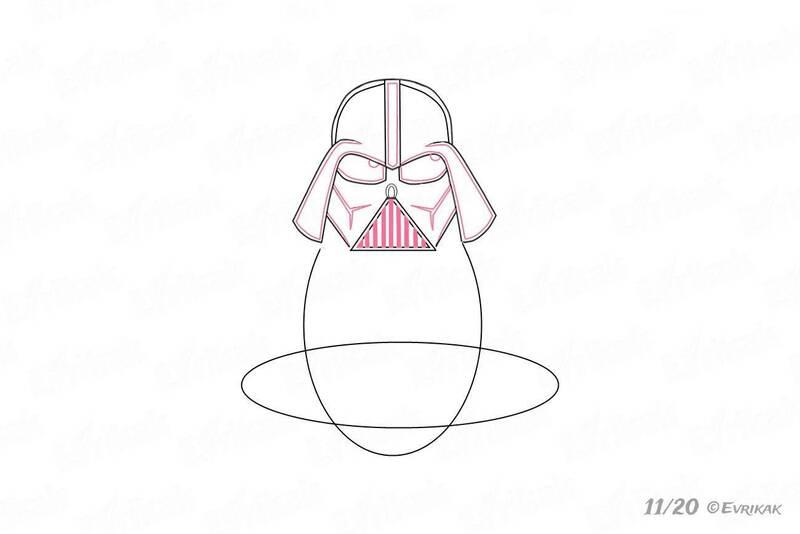 Just under the helmet, draw two irregular ovals. 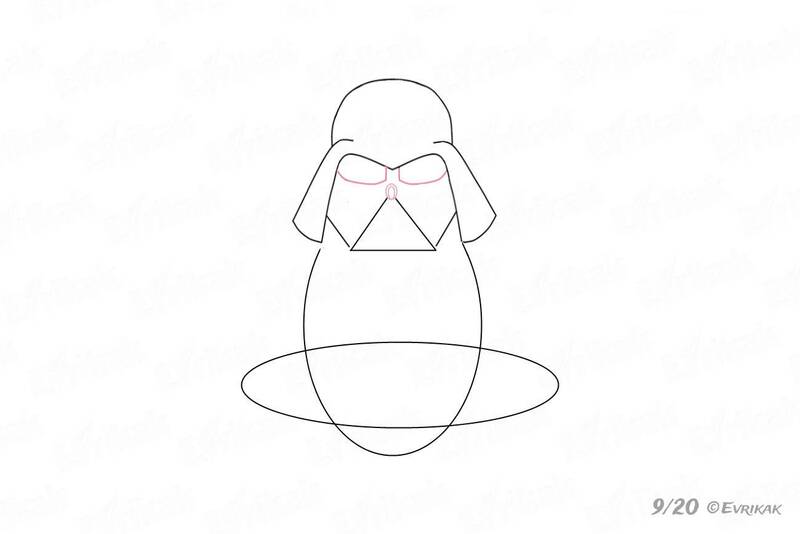 Draw a small oval on the triangle. 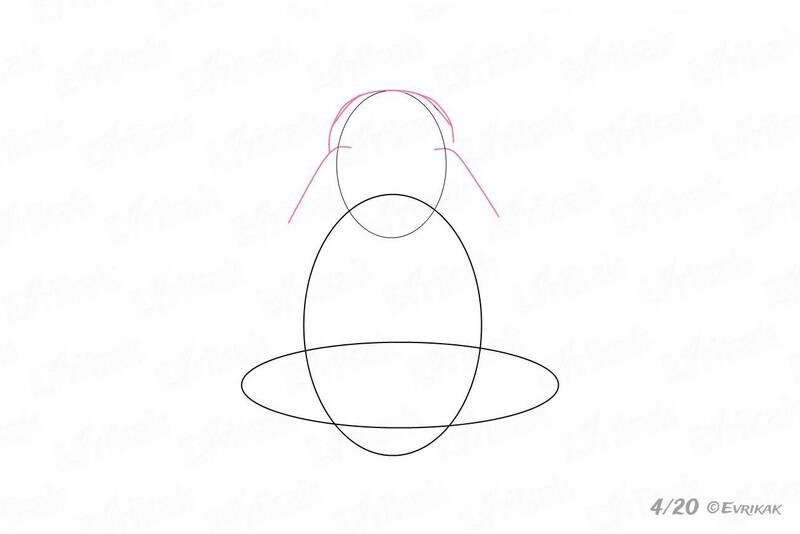 In the center of the helmet draw two vertical lines, as if dividing the helmet into two parts. Inside the triangle outline the same figure but it must be smaller. 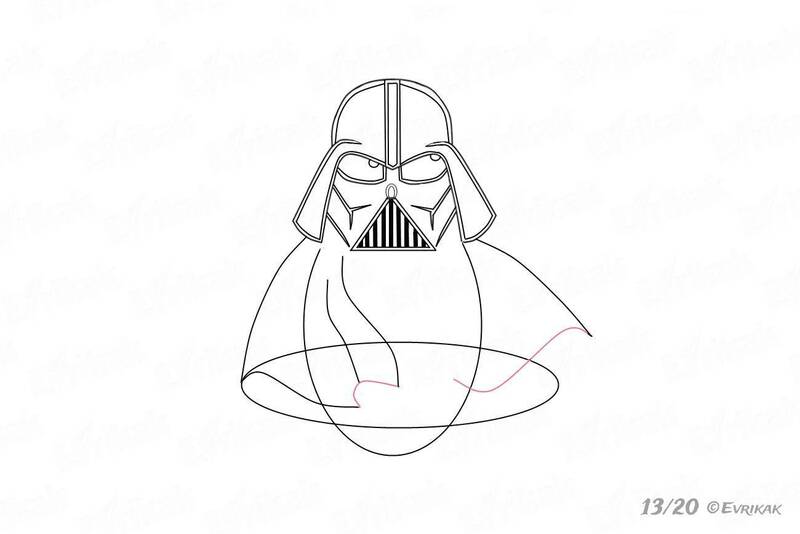 Draw additional lines around the helmet. 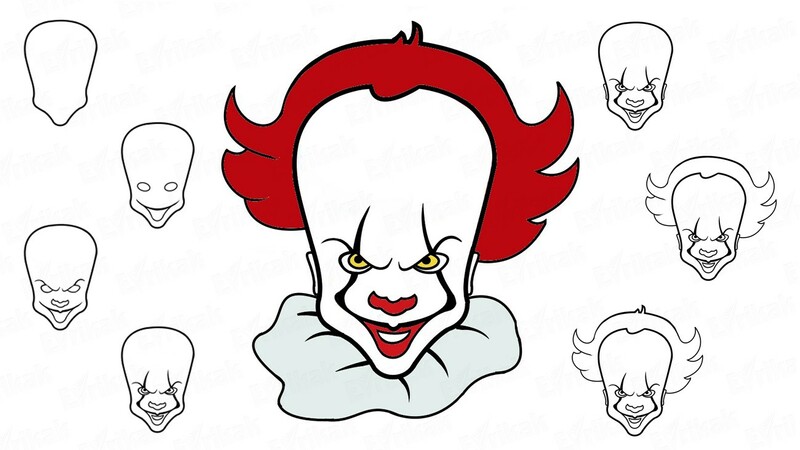 Draw the pupils on the right side inside the eyes. Add vertical lines inside the triangle. Darth Vader’s cloak starts right under the helmet. Draw it with the help of two curved lines, as if you are drawing a semicircle. Draw a wavy line to the right side from the lower oval. Connect the lines denoting the cloak. 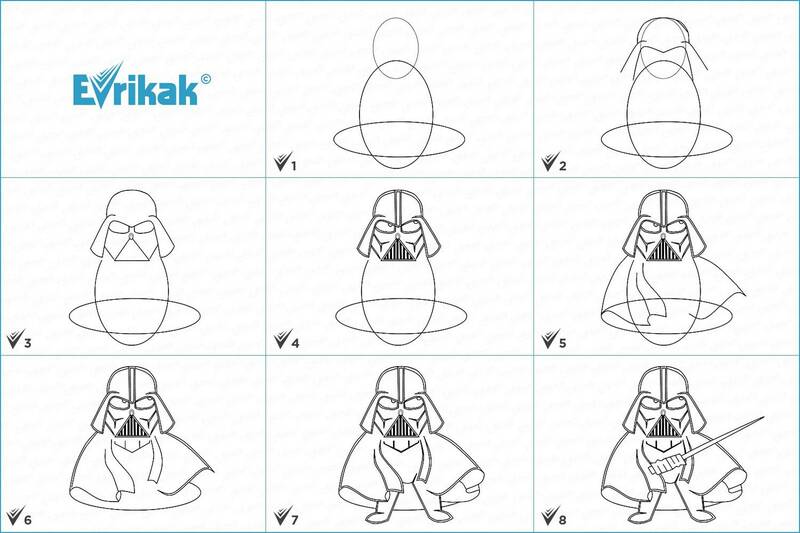 Encircle the contours of the cloak with the help of the additional lines. 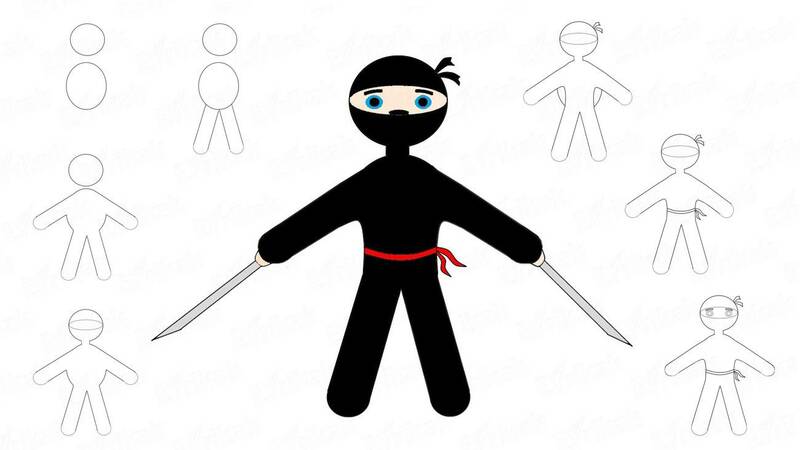 Draw another inverted triangle under the first triangle. Erase the lines of the oval which helped to draw. You can leave only part of the lower oval. Start drawing the outlines of the legs under the cloak. Also finish drawing the cloak. Encircle the contours of the legs again by using the additional lines. Correct the bottom of the cloak. Draw the hands diagonally in the form of letters M and W. They should be on the same level. You can use the ruler to get the straight letters. Draw a long light sword in his hands. It’s easy to color Darth Vader. His clothes are black. The light sword can be white or color it in red, such color have the Sith sword.